Who doesn’t love a good old trip to Ikea? It’s a dangerous game though; you go with the intention of buying a couple of candles and a few bits for the kitchen and you walk out having spent hundreds of pounds! Our most recent visit happened a couple of weeks ago and although we had a list of things we wanted to buy, naturally we couldn’t help ourselves and also picked up a few extra bits we thought Dexter would love. 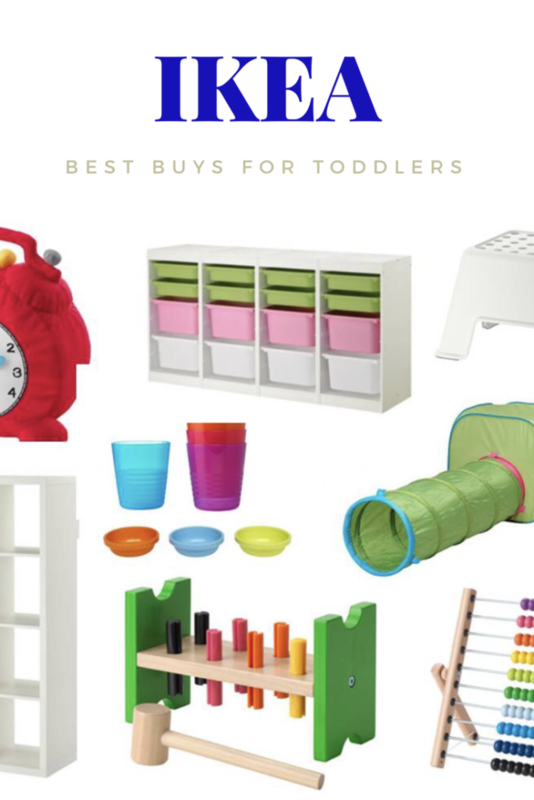 Here’s what we got from our Ikea toddler haul. 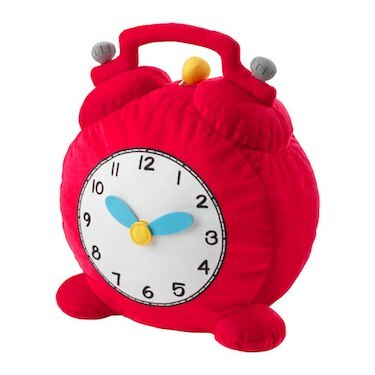 As we walked by the soft toy range, Dexter pointed out the toys he liked and we brought them to him one by one, but his favourite by far was this bright red clock and he is still in love with it now, weeks later. Not only it is super soft and aesthetically pleasing, but it’s also a great educational toy and even though he’s miles off from being able to tell the time, I have been using it to show him what time it is and what time certain things will happen. 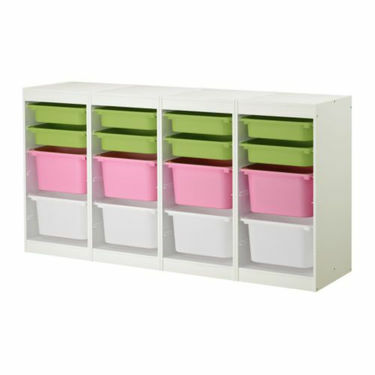 Are there any parents in Britain without this shelving unit? If not, how? 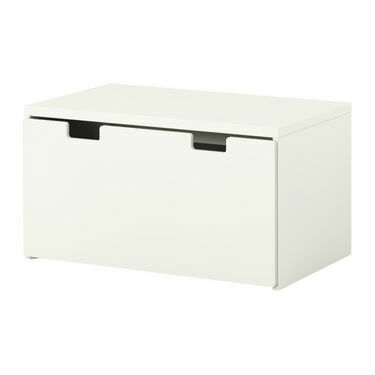 We already had a square KALLAX unit in our bedroom for storing bedclothes and so were aware of the wonderment of KALLAX but for some reason we waited far too long to get one for Dexter. It was a life changing moment when it was finally built and all of his toys, art supplies and books were arranged within it. Where on earth was all of this stuff being stored before, was the question that played on my mind for days later. 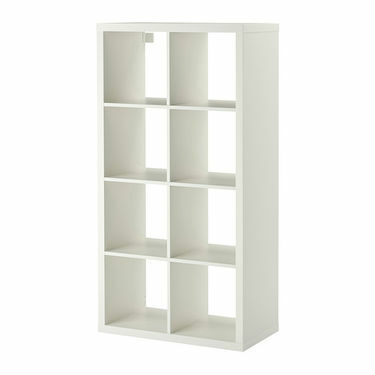 What I absolutely adore about this shelving unit is that, when laid flat, it is the perfect height for my tiny toddler who can help himself to books, toys and instruments and feel really independent. I was desperate for some storage for Dexter’s ever growing collection of Duplo and the TROFAST comes with little trays which are perfect for storing Duplo, crafts or tiny toys. Gone are the days where I was constantly standing on Duplo or I’d hear the all familiar crash of Dexter emptying his Duplo box all over the floor and I can tell you, I am a better parent for it! I love this little bench because it looks cute, is comfortable to sit on and is great storage in Dexter’s room. We have shoved all of his soft toys inside of it and we bought a little mat to put on top to make it even comfier. Dex loves nothing more than climbing up onto the bench and climbing back down again, multiple times. Hey, it keeps him busy and gives me five minutes peace so I’m all for it! 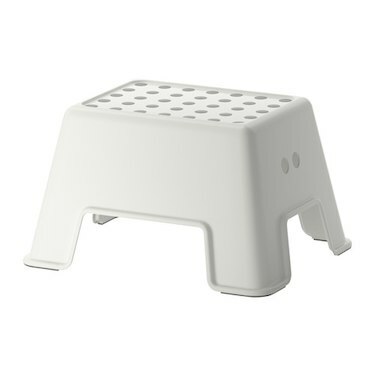 This life changing stool now means Dexter can independently brush his teeth, get up onto our bed and turn all the lights on and off in the house at his will. Communication is better than ever and instead of pointing at the light switches, he now takes his stool to go and turn the light off when he is ready for bed or turn the light on if he feels it’s getting a bit dark. He also using the stool to see what I am up to in the kitchen, although he still favours a chair which sets my anxiety on edge! I first saw this toy on a Monterssori pin on Pinterest and thought we must add it to our collection. Dexter much prefers taking the pins out and hiding them under his wardrobe but I really believe this toy is one that will grow along with him. 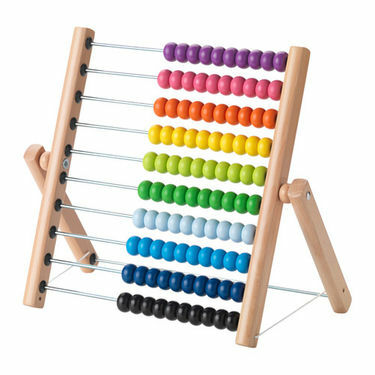 As soon as I spotted this brightly coloured abacus, I knew we had to have it. Dexter loves pointing out the beads and I know this toy will come in really useful when he starts learning colours and numbers. You can never have too many bowls, especially when you live with a toddler who eats more than you! These bowls are unbreakable and dishwasher safe which is a godsend when your little person insists on carrying his bowl of muesli around the house. In fact I had just popped to the loo the other day when he urgently came to find me calling ‘Mama?’ in a worried kind of voice. ‘What happened?’ I asked, mid wee. ‘Bowl uh-oh’, he replied and when I went to investigate, the bowl had indeed dropped on the floor. Thankfully thanks to the great design, no breakages and so no need for an angry Mummy! 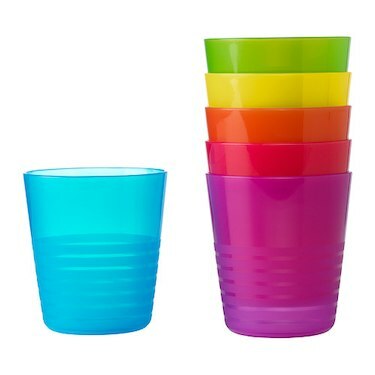 These cups (or mugs as they are described) are lovely! 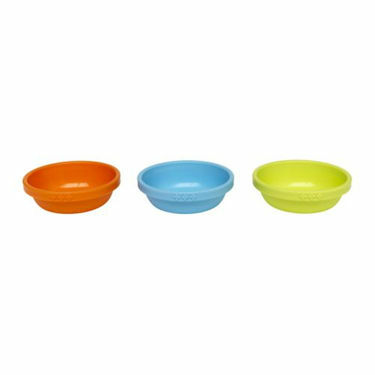 Once again, like the SMASKA bowls, they are unbreakable and dishwasher safe. I introduced a small amount of milk in once of these cups a few weeks ago and that is how Dexter started drinking from an open cup. 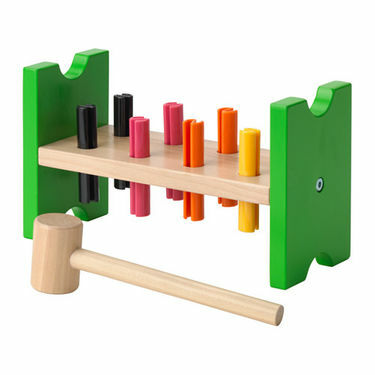 I love the bright colours and the size of them which are perfect for little hands. This was a bit of a treat for us and god knows we don’t have the space in our tiny flat, but we bought it anyway. That’s the power of Ikea people! Dexter of course loves it. 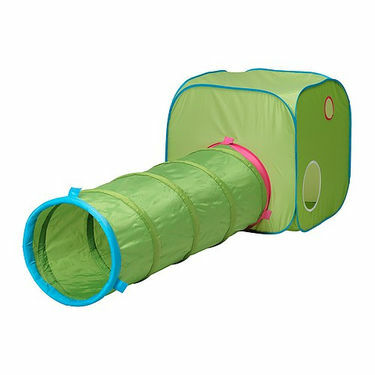 He loves sitting in the tent bit reading and he loves crawling up and down the tube while i wait at either end to surprise him. This will be a great addition to our garden (when we finally get one!) during summer months and will be much loved by Dex for years to come.